Jacinda Ardern has been described as calm, empathetic and compassionate: do women lead differently? Poetry for the Spring Equinox. Novelist Tomi Adeyemi on her YA fantasy fiction. 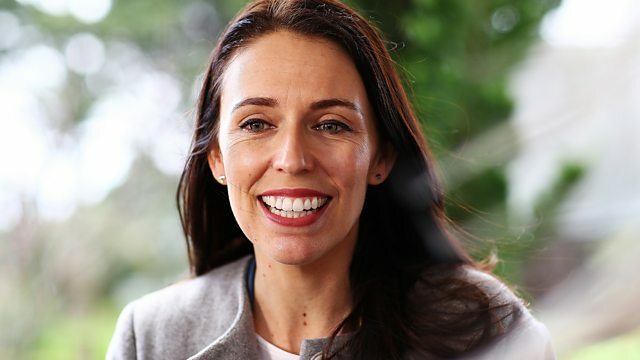 Jacinda Ardern New Zealand’s Prime Minister has been praised for her calm, clear and compassionate handling of the Christchurch massacre but do women leaders really do politics differently? Journalist Anne McElvoy and former special adviser Ayesha Hazarika discuss. How has the terrorist shooting at Mosques in Christchurch New Zealand affected Muslim women in the UK? We hear from Rabina Khan a Liberal Democrat Councillor in East London, Akeela Ahmed MBE a social entrepreneur and activist and from Nadia Khan the co-founder of a mental health charity The Delicate Mind. The author Tomi Adeyemi talks about her fantasy fiction for young adults set in the West Africa inspired world of Orisha - and tells us why it took her so long to write lead characters that reflect her own culture. What does the discovery of a database called Breedready in China mean? Is it part of a bigger plan by the Chinese government to halt the countries declining birth rates? We talk to the BBC’s Asia Pacific Editor Celia Hatton. Nice Nailantei Leng’ete tells us about the work she is doing in Kenya to bring about alternative rites of passage ceremonies to replace FGM. We have poetry to mark the Spring Equinox from Christine de Luca. Carol Morley tells us about her new film Out of Blue - a crime thriller adapted from Martin Amis’ novel Night Train.